If your company works heavily with channel partners or has a few activated, having a strategic channel marketing strategy in place will be a top priority. 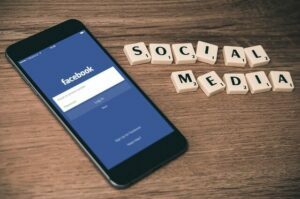 And while there are many different tactics to apply to your company’s channel marketing plan, social media is actually one that needs to play a major role. Certainly, you may be using social media with your channel partners already, but how much focus are you placing on it? Probably not as much as you should be or realize you need to be. Only a few years ago, most businesses looked at social media has “nice-to-haves” and a place to showcase some vanity metrics. Yet, here we are a few years into the social media digital disruption and these platforms have become quite essential for companies. Big platforms like LinkedIn, Facebook, and Twitter now give your company direct access to the people who matter most for your business. Here are a few reasons social media is valuable to your channel marketing strategy. Honestly, simple including social into your channel marketing and ensuring channel partners value it as well can really come down to the numbers. These social networks boast an incredible power of users, so much so now that it simply cannot be ignored. Here are a few -even surprising- social media stats. By reading those stats above, it’s should be pretty obvious that its where current customers and potential new buyers are. People turn to social media to interact with your company, research products, find industry news, and much more. Sure there is the entertainment value of social media, but the business value is just as great. It also simply comes down to people trust recommendations from family, friends, and colleagues over other forms of marketing (like ads, corporate leaders, brand social accounts). That doesn’t mean those forms of marketing won’t generate some results, but word-of-mouth recommendations are extremely powerful for sales. The goal is that your employees and channel partners can easily spread your brand and products to their networks. This helps to connect with audiences who aren’t aware of your products and services. Getting social sounds good and all, but how can your company include social with your channel partners within the strategy? It’s actually a pretty common challenge in the world of channel marketing and is how an employee advocacy program helps. An employee advocacy program like EveryoneSocial acts as the central hub for all content in an organized manner. Employees and channel partners can connect their socials for easy sharing and distribution of information. Keeps your company employees and channel partners informed on the latest and greatest products, news, and your industry. Allows channel partners to share and speak the language of your company’s industry more effectively. Your social media team is probably fairly small, so this helps your company scale marketing and sales efforts. Helps channel partners be more comfortable sharing. Many aren’t sure what is allowed or what to share. When the content is already curated with suggested copy and a program, they know social sharing is okay. Your company content can co-exist with your channel partners own stream of company or industry related info. This helps with engagement and users wanting to be in the platform. 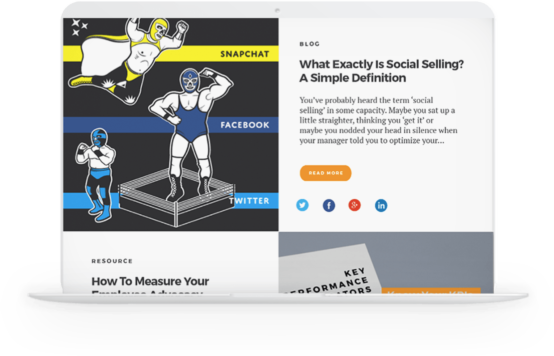 Streamlines and organize content efficiently, while measuring results (clicks, engagements, shares, etc). Makes it easy for partners to talk about and sell your company’s products. They’ll think of your brand first because how accessible information can be. Communication between employees and channel partners with feedback on content and tagging others on important information. Marketing to partners: Helps build awareness, training, enablement for partner sales teams. Many channel partners also sell your competitors products. Employee advocacy ensures they think of your brand first because you are constantly educating them. 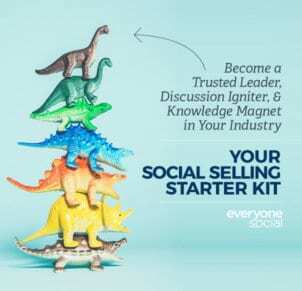 Marketing with partners: A solution like EveryoneSocial is used as a way to help your channel market strategy by enabling co-marketing efforts with the partner to target their end customers. There are a few good channel marketing examples of companies using social media and employee advocacy. 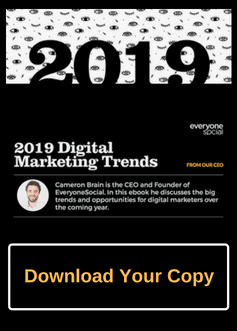 But, many companies and yours included may be missing a huge opportunity to boost the brand, sales, and your channel partners reach. Here are two examples of companies boosting their channel marketing strategy via social media. 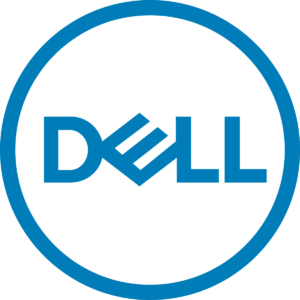 Most of us are and should be familiar with Dell, but if not the computer technology company develops, sells, repairs, and supports computers and related products and services. While they sell many of their products directly and in-store, they also activate channel partners into their business strategy to help sell products. 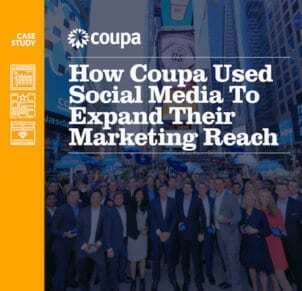 The IT hardware and cloud services leader realized that it could spark more impactful conversations, reach a wider audience, and become a stronger influencer on social media by adding employee advocacy to its marketing mix. 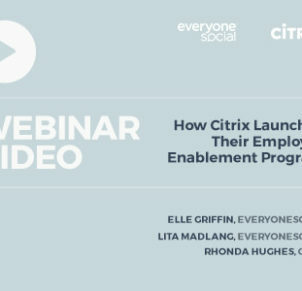 Related: Learn how Dell activated their internal workforce and channel partners on social media and the results they drove during their first year of adoption. Grab your guide here. Ciena is a global supplier of telecommunications networking equipment, software, and services. They sell their gear through large, recognizable companies like Verizon, AT&T, Vodafone, Comcast, Cox, etc. A big deal for the company is keeping partners informed and with the rapid pace of technology and equipment changes, it’s important that this knowledge is shared. Educating employees and channel partners is key to success. Reasons for social media and employee advocacy? Had well-establish corporate social media, but more conservative employee/corporate culture with little social engagement. Employees weren’t sure if they were allowed to share, what to share, and how to share. Already had executives that were well-known in the company, but had almost no digital footprint. A way to scale, as Ciena was a small team on social media. Channel partner marketing support needed and new it would be key in the future. By 2016 the company had over 34,000+ employee social shares, pushing the brand to new levels and audiences than before. Related: Want to learn more about Ciena’s channel marketing strategy with social media? 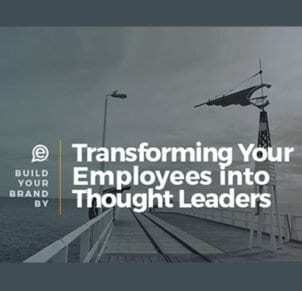 In this previously recorded webinar, Bo Gowan of Ciena and Cameron Yates of EveryoneSocial discuss how to harness the power of your partners using an employee advocacy platform. As you can see from the above, social media should and must play a vital role in your company’s channel marketing strategy. Social media is not going away anytime soon and many of the top platforms still continue to grow year over year. This leaves your company a huge opportunity to not only leverage internal employees, but channel partners more successfully. Educating your channel partners, providing easy access through technology, and providing a strategy to boost reach via social helps drive your company’s products and services to new levels. Looking to amplify your channel marketing strategy and get partners actively sharing to customers online? Learn how EveryoneSocial’s product can help.